You can enter note that you want included in the text file that is created as a transmittal. The notes you type in will be added to the transmittal under a "Notes:" heading. You have to type it into this little box to be included. You have to type it in each time. If you want the same thing to be added to multiple transmittals you may want to make a notes file. 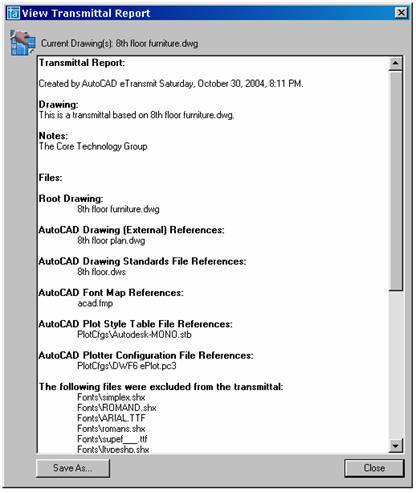 To create this auto-transmittal text, use Notepad or equivalent text editor and create a file that will be saved to one of AutoCAD's search paths and be named "etransmit.txt". The name and file extension are critical - don't get them wrong. The location is not as critical but it has to be in a folder where AutoCAD is likely to look. You may want to keep these individual files in the same place as the file you are eTransmitting. The first one it finds is the one that is used. You could use this file for your Disclaimer. The default location for this file would be in AutoCAD's Support directory but you can also put it on a Server so everyone automatically gets the same file. You can also keep separate auto-transmittal notes with project drawings so long as the file is in the same source folder as the current drawing being transmitted. Note: Transmittal Settings are stored in drawing file and the Registry. There is no easy way to share these among users. If you know one - let me know. Lets you specifies the type of transmittal package created. ZIP, EXE or Folders. ZIP and EXE will create files that contain the complete transmittal. Choosing "Folder" will create a folder on your hard drive to store the individual files copied by ETransmit. 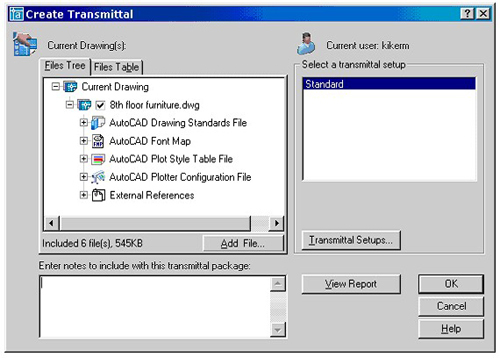 Specifies the file format to which the drawings included in a transmittal package will be converted. 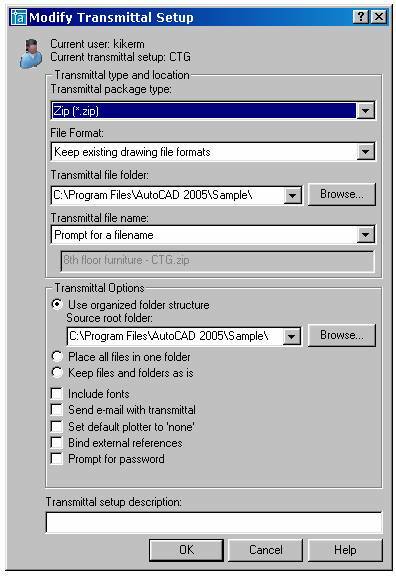 You can select an AutoCAD drawing file format from the drop-down list. Hey - what happened to AutoCAD 14 format? Specifies the location in which the transmittal package is created. Lists the last nine locations where you created packages. To specify a new location, click Browse and navigate to the location you want. If the folder does not exist – it will be created. If this field is left blank, the transmittal file is created in the folder containing the first specified drawing file. In a sheet set context, the transmittal file is created in the folder containing the sheet set data (DST) file. Specifies the method for naming the transmittal package. Notice that the displays shows the default file name for the transmittal package. 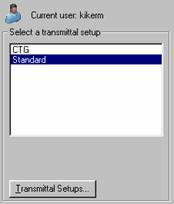 This option is not available if the transmittal package type is set to Folder. Uses a logical default file name. If the file name already exists, a number is added to the end. This number is incremented each time a new transmittal package is saved.